Acne scars can be a major inconvenience to anybody as it gives the idea of a bad skin complexion and sometimes causes a blow to one’s self confidence. That’s why it is important to understand and know the different ways of treating and clearing up scars left by acne. Here you will understand the different methods of getting rid of acne scars. Hopefully, in the end, your acne scars will be a thing of the past and you may have more good news to your skin’s health. 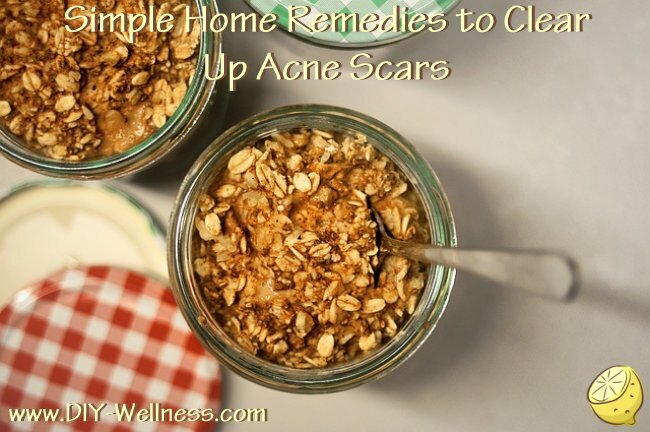 Aside from expensive acne scars treatment method which are found to be effective but not in the financial reach of most of the population, it is important to know that there are also some natural and much less expensive home remedies in getting rid of acne scars. These are acne scars treatment methods that you can use to treat your acne scars right at the convenience of your home. One of the leading methods of clearing acne scars is the use of an oatmeal cleanser. It helps eliminate other skin defect like blackheads and also helps in the effective removal of acne scars. The oatmeal method consists of a mixture of rose water and an oatmeal powder; together they will form a paste that you can apply over the areas of your skin affected by the acne scars. After applying it, allow for about fifteen minutes to pass then afterwards rinse it with cold water, this process allows the oatmeal to close all existing skin pores and helps clear up a lot of your existing acne scars. To see the best kind of results you should do this everyday. Another leading acne scar treatment option is the use of honey. Considered as one of the best natural remedy for acne scars, honey plays a great role in defeating bacteria that actually causes acne. After cleaning your skin, you can then apply honey to the affected part of your skin. Wait for ten minutes before rinsing it with clean water. Remember, there are a lot of ways to clear acne scars. Just be patient in looking for a method that can fit your needs.